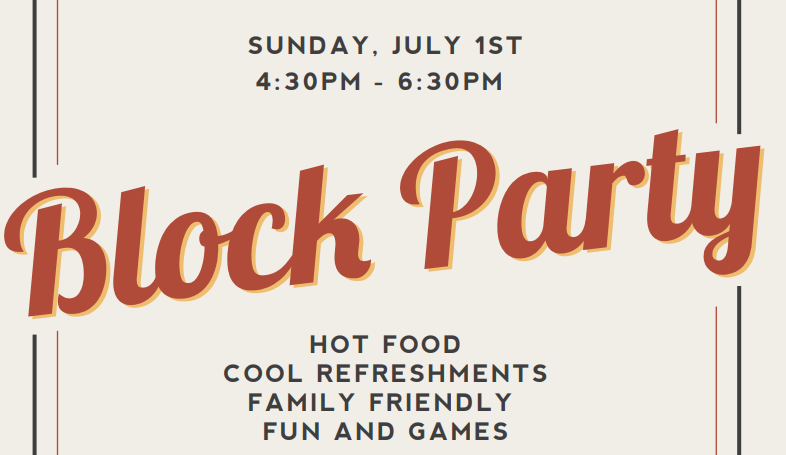 The Union Hill Civic Association is hosting their annual summer block party on Sunday, July 1st from 4:30-6:30 pm at Jefferson Park. All neighbors are welcome to attend. The main dish will be provided (Alamo BBQ) but everyone is encouraged to bring a side dish or dessert to share. We asked Amanda Godbold Payne who is helping coordinate this event a few questions. Forgive us if it’s a naive question, but how long have you all done this event? It has been going on for several years, but some year were skipped here and there so we are unsure how many to count. We definitely had it last summer and it will look very similar to last summer. It’s very laid-back – people just hanging out and eating on picnic blankets, playing some games, kids running around on fire truck and playground, no structured activities – come and go as you please. Last year there were about 140 people in attendance from all over Church Hill. We expect 120-150. Do you want to give any kudos or shoutouts? I’d love a shoutout to all our food sponsors! Union Market, Liberty Public House, Alamo BBQ, Roaring Pines, and Soul N Vinegar. Also a shoutout to Barksley Dog Walking and Pet Sitting! Use the flyer below to spread the word! We are really excited to be there!! !